Last week’s paycheck protection vote was not disappointing or a defeat. It was a victory! And a significant one at that! Let me explain, lest you think a government union leader hijacked Commonwealth Foundation’s email. The government unions paid 82 lobbyists to live in the Capitol for the last three weeks—and the vote on paycheck protection not only got out of committee but got to a full floor vote AND came within 12 (12!!!!) votes of ending this immoral, unethical and unfair privilege. Another thing: House Leadership lived up to its name. It is no easy feat to bring up a vote when your party is in power and you could lose. It takes a strong leader to have the willingness to advance a reform as significant as paycheck protection. Good for them! Paycheck protection is ON THE AGENDA. The House is not a “safe space” for the unions. It’s territory we can advance essential policies and it’s thanks to your work. We must always remember who and what we fight for—the people who need our voices the most—we cannot spend a moment feeling bad! To paraphrase one of my greatest heroes, General George S. Patton: It’s not about how high we climb, it’s about how high we bounce back. P.S. Want to hear something else exciting that happened this month? CF President & CEO Charles Mitchell was named as one of City & State PA’s 40 Under 40 Rising Stars. You can read his profile here. What an honor! We are so happy that readers around the state can see what we already know to be true about our fearless leader. Congratulations, Charles! Ms. Stefano is vice president of Commonwealth Foundation. Usual Republican Suspects Stop Anti-Corruption Bill — On Dec. 12, the usual Republican suspects in Chester and Delaware counties voted against a bill that would have banned political contributions from automatically being deducted from the paychecks of public employees. There is no morally justifiable reason for a nay vote. You doubt this? Name one. Give us one reason why money promised to a person for his labor should be taken without his consent and given to back a cause with which he may not agree. SB 166 was an extremely mild bill. It only applied to public employees and allowed for deductions for union matters including salaries. And it still couldn’t pass. The usual Republican suspects are, from Delco, Steve Barrar (R-160), Nick Miccarelli (R-162), Jamie Santora, (R-163), Alex Charlton (R-165), and Chris Quinn (R-168), and. from Chesco, Harry Lewis​ (R-74) Becky Corbin (R-155)​ and Duane Milne (R-167). The Usual Republican Suspects sounds like a great movie. Maybe we can get Bryan Singer to direct it. Who would Kevin Spacey play? Maybe Val DiGiorgio. We can call him Keyser So So. By the way, if you care about the labor movement and if you care about workers — which union bosses obviously do not — crusade to end automatic deductions for union fees for everyone. Automatic paycheck deductions hurts labor . Why do the massive amount of money obtained from these involuntary deductions go to causes and candidates such as lobbying for unfair trade pacts and stopping pipelines, which are obviously against the interests of labor? Without this guaranteed income the union leaders would actually have to heed the will of those they claim to represent. The most successful lobbying group in America is the NRA. Suppose if its officials got paid no matter what it did? You think they’d work as hard? They’d work about as hard as the union bosses do for their constituents, and private access to firearms would have long ended. Barrar Charlton Save Corrupt Dem Piggy Bank — The Republican-controlled Pennsylvania House, yesterday (Dec. 12), squashed a senate bill that would have stopped the automatic deductions of money used as political contributions from state worker paychecks. The contributions overwhelmingly go to Democrats and left-wing causes. SB 166 would have ended the practice. Every Democrat present voted nay as did 26 Republicans including the Delaware County contingent. That would be you Steve Barrar (R-160), Nick Miccarelli (R-162), Jamie Santora, (R-163), Alex Charlton (R-165), and Chris Quinn (R-168). What is even the point of voting Republican? These guys certainly don’t seem to be trying to make our lives easier. Their own, yes, but not ours. Piggy bank saved for another day. During my time serving the 100th District, a handful of well-meaning residents have walked into my taxpayer-funded Lancaster County district office and requested campaign lawn signs. They have always walked out empty handed. In fact, if I tried to conduct campaign activities from my legislative office, I’d end up in jail—as other politicians have. And that’s how it should be. Likewise, just think if I requested that the House payroll system be used to deduct voluntary campaign contributions for my re-election campaign from my staff’s paychecks. You can imagine the response: Absolutely not. The objection would not be over the staff’s desire to contribute, or the cost of deducting the money. Instead, the request would be denied as a matter of ethics: Public resources cannot be used for politics. That’s because taxpayer-funded government resources should not be used for politics. Unfortunately, there’s a big loophole in state law. 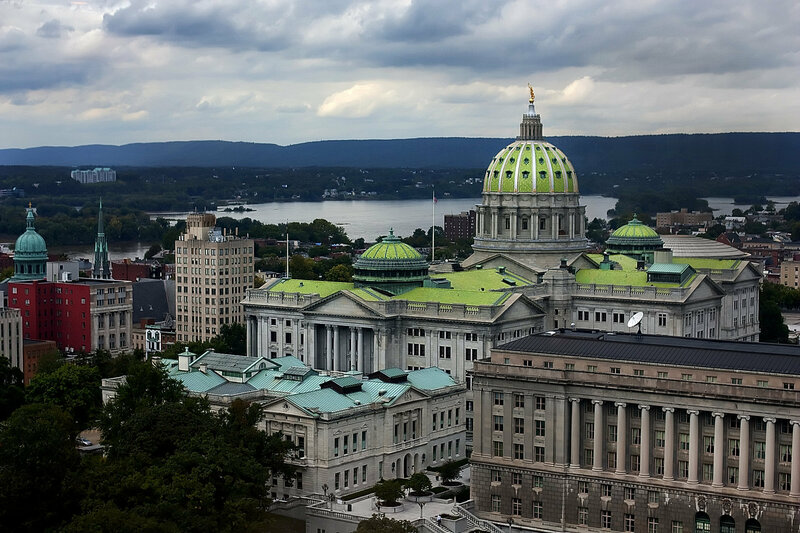 State and local governments across Pennsylvania regularly use public resources to collect campaign funds for a special group of political players: Government union leaders. These funds are used for lobbying and political fundraising and even given directly to candidates. And government unions are the only organizations in Pennsylvania that can use public resources to raise their political dollars. This is an insult to Pennsylvanians who deserve better from their government. That’s why for the past few sessions I have introduced and championed legislation called paycheck protection, which would restore the integrity of public resources by ending the use of government systems for political fundraising. As commonsense as this reform is, some still oppose it, relying on myths and scare tactics to misrepresent what this legislation does—and does not—do. I believe Pennsylvanians deserve the truth. The latter two are explicitly political. The truth is, since 2007, Pennsylvania’s government unions have spent nearly $100 million on politics—most of which they collected via automatic deduction from workers’ paychecks using public resources. The truth is this immoral practice, which would land any elected official in jail, has gone unchecked for years. If we care about ethics and integrity in government, we cannot let this continue. My bill would transition the collection of political money back where it belongs—outside the scope of public resources and into the hands of government union leaders. These unions would still be free to use public resources to collect non-political union dues and fees used for collective bargaining and representational work. However, government unions would no longer enjoy the special privilege of using public resources to collect money used for political activity. Just like every other private organization in Pennsylvania, they would begin collecting political money directly from those who donate it, without using taxpayers as their middleman. Opponents of this reform claim they are fighting to protect workers’ voices, but the truth is this reform will give public workers greater voice in how their money is spent on politics. Because government unions will collect their political dollars directly from members, they will be more accountable to members regarding how those dollars are spent. Opponents also argue they are working to preserve government unions’ ability to collectively bargain, but this reform does not affect collective bargaining rights or prevent unions from engaging in political activity. It simply separates taxpayer resources and electoral politics. The state Senate passed similar legislation in February. It’s time my colleagues in the House also make this good government reform a priority. The law should apply equally to everyone. Paycheck protection would be a major step toward making this principle a reality. Rep. Cutler (R-100) is the Pennsylvania House Majority Whip. SB 167 Paycheck Protection — Leo Knepper of Citizens Alliance of Pennsylvania has let us know that bills providing for paycheck protection moved out of the Senate State Government Committee, Jan. 31, on a party line vote. Senate Bill 166 prohibits the use of dues collected from members of public unions to be used for political causes. It specifically exempts “negotiation, resolution, arbitration, administration or enforcement” of collective bargaining agreements. Senate Bill 167 prohibits the use of dues to be used for politics and voids all provisions in collective bargaining agreements allowing it. “Currently, government unions can deduct contributions for their political action committees (PACs) and dues money that will be used for political purposes directly from government employees’ paychecks,” says Knepper. “In other words, the unions are using taxpayer funded systems to collect money for politics. “Why should it be legal for unions to use the public payroll system for political purposes, but illegal for former-Speaker John Perzel to use the constituent data system to help sway elections?” he said. Our question: Why should the state even collect union dues? If the money has to be deducted automatically, it’s a pretty good indication that the union member is not thrilled with the leadership? Why should union dues that more often than not merely enrich union bosses be a requirement for membership in the first place? Kentucky Slams Union Corruption — Kentucky, Saturday, Jan. 7, became the nation’s 27th right-to-work state when Gov. Matt Bevin signed a bill passed by the newly seated state legislature. November’s election put the GOP in control for the first time in almost a century. “Right to work” means employees may refuse to pay union dues. This is a good thing. Mandatory dues do not advance the cause of the working person. Anyone not brain dead can see this considering what has been happening to unions over the last 50 years. Mandatory union dues, however, do provide nice lifestyles for union bosses and fund the political campaigns of those who would like to put working people out of work. Kentucky last week end struck a big blow against corruption. Pennsylvania are you listening? West Virginia Goes Right To Work — Legendary labor powerhouse West Virginia — the land of Matewan and the UMWA — just went “right to work”. “Right to work” means it is illegal to make as a condition of employment joining a union or paying union dues. One can still join a union, of course, or pay dues. He just can’t be fired if he chooses not to do so. Maybe he doesn’t like his hard-earned, involuntarily taken money being used for his local’s leader’s $277,000 salary. Or perhaps, he’s really mad that it winds up as donations to politicians who support unrestricted immigration, closing refineries, and Planned Parenthood while opposing letting him have the means to defend himself if he should feel the need. Polling shows that 74 percent of U.S. voters support “right to work”. West Virginia follows in the footsteps of legendary labor powerhouses Michigan and Indiana which went RTW in 2012, and Wisconsin which did so last year. West Virginia’s law was enacted yesterday, Feb. 12, when the state House and Senate overrode Gov. Earl Ray Tomblin’s veto. West Virginian also, yesterday, repealed its prevailing wage law which is a law that mandates workers on public projects be paid at a rate set by the government rather than the market. Pennsylvania also has a prevailing wage law. It is estimated that it adds 20 percent to the cost of public works. This means that a new high school that cost $130 million with prevailing wage would cost $104 million without it. It would be almost as if the community magically found $26 million. If reforms such as these could happen in West Virginia, Michigan, Indiana and Wisconsin, there is no reason to think they couldn’t happen in Pennsylvania. West Virginia Goes Right To Work and ends prevailing wage. We were challenged concerning the $277,000 taxable compensation we reported John Kane, who is the Democrat’s nominee for the 26th District State Senate race, was receiving as business manager of Plumber’s Local 690 of Philadelphia and Vicinity. Kane receives $156,537 in salary for his job as business manager and $119,213 as co-chairman of the union’s vacation fund, as per the IRS 990 form that is required to be filed by the vacation fund. Vacation fund. He is taking $119,213 for running the vacation fund. Don’t you think this be part of his already well-compensated job as the union’s business manager? And if we are reading the 990 correctly he is only working one hour a week at it. LOL. You still want to contribute to his campaign? Kane says he will continue taking the money even if he should win the seat, which comes with a $84,012 salary and very nice benefits. People like Kane are what make the rest of us poor. Kane is seeking the seat being vacated by Republican Ted Erickson, a decent, honest guy. The Republican nominee is Delaware County Councilman Tom McGarrigle, another decent, honest guy who grew up in Springfield, attended a public vocational high school and runs a well-liked garage. And for the rank and file of Local 690: here is a list of the salaries of your leaders, which includes $1,431 in benefits for Kane not mentioned on the 990 form. Note seven of them are making six figures. Are you really getting your money’s worth? Don’t think it would nice if you could actually withhold your dues rather than having them automatically deducted? You think maybe you might get better representation if you had this ability? Pennsylvania’s AFL-CIO union boss Rick Bloomingdale is absolutely right that there is a “war on workers” here in Pennsylvania—he should know, because he is waging it. His recent opinion piece on PennLive tries, and fails, to defend the indefensible, getting the facts wrong in the process. What has Bloomingdale so upset? It’s a proposal that would simply stop using public resources to collect union campaign contributions and political money for government unions. Far from an attack on workers, this reform would actually give union members a stronger voice in how their dues and campaign dollars are spent. It is not anti-union. It is pro-worker. If Rick Bloomingdale were interested in protecting the middle class, he’d be standing alongside teachers like Rob Brough rather than against them. Just ask Rob Brough, a teacher in Pennsylvania who must pay fees to a government union, the Pennsylvania State Education Association, in order to keep his job. “Their agenda and political ideals are counter to what I believe, and it is a kick in the teeth every time my dues are withdrawn from my hard-earned paycheck and handed off to some organization that I would never contribute to of my own free will,” Brough said. Shouldn’t the PSEA have to look Rob in the face, ask him for his $680 in dues, and then explain how the union plans to spend it? Since Rob is forced to pay this money to keep his teaching job, isn’t it fair that he should be empowered to have a stronger voice in how his money is spent on politics? Right now, the leaders of the PSEA and other government unions don’t have to do that. They can use taxpayer resources to collect campaign contributions and political money directly out of employees’ paychecks. Not only is this unfair to taxpayers; it hurts the very workers government unions claim to represent. Union members are harmed because union bosses don’t have to explain the unions’ political expenditures to members. That’s what the legislation Bloomingdale references would fix. And he’s wrong that it would affect “all unions”—it only affects government unions, the ones that represent people whose salaries we taxpayers pay. In reality, it is teachers like Rob who are singled out for onerous and unfair restrictions on their hard-earned money—not union bosses. Imagine if the National Rifle Association or Planned Parenthood demanded taxpayers pay for the collection of their lobbying funds and campaign contributions. They would be ridiculed and rejected – and rightfully so. Government unions enjoy this same benefit of using your township, borough, city, and state tax dollars to collect their political money and deny union members the ability to hold their union bosses more accountable. No other private or political organization enjoys this financial and political privilege. Unions can – and should – play by the same rules as everyone else. One questions how viable and relevant government unions are today if, as Bloomingdale implies, they are so dependent on taxpayer subsidies that they would have to close up shop should they lose this exclusive legal privilege. Paycheck protection would do one thing: Stop the use of taxpayer resources for politics. That, in turn, would set teachers free, allowing them to make their own choices with their own money. It won’t end collective bargaining or keep unions from collecting dues. They would simply have to do it themselves. Protecting the paychecks of union members and taxpayers is supported statewide. No less than three separate polls of Pennsylvanians reveal overwhelming support for ending Bloomingdale’s exclusive legal privilege. One survey of likely voters revealed that 79 percent of voters (and 75 percent of union members) agree that unions should not be permitted to use taxpayer-funded resources to collect government union dues. The public gets it because no other political group enjoys such privileges on the taxpayers’ dime. There is no greater pro-worker and pro-taxpayer proposal than ending the taxpayer-funded collection of dues and campaign contributions for government unions. If Bloomingdale were truly interested in protecting the middle class, he’d be standing alongside teachers like Rob Brough rather than against them. We have power because there are more than 3.2 million people who are willing to pay us hundreds of millions of dollars in dues each year. For the record, Bob, a whole lot of those dues are collected unwillingly. You end the practice of requiring the school district employing them to forcibly deduct dues from their paychecks you’ll find that most of those people stop chipping in. I guess they think you really don’t represent them all that well and don’t feel obliged to pay for your one-percenter lifestyles and support for extremist social policy.